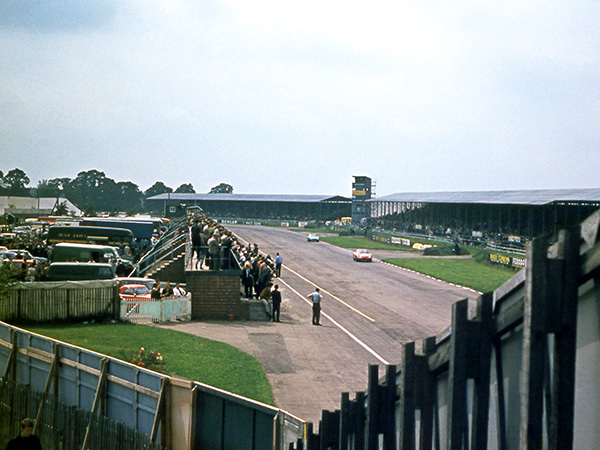 Roger Lane got a rare chance to be a professional photographer when he was asked to take pictures of Silverstone. I am sure every amateur photographer aspires to experience life on the professional side of the camera at some time in their life, but not all achieve that opportunity. In 1968 and 1969 I was given the opportunity to photograph the international motor racing scene for Agfa Gevaert following a meeting with their advertising manager at a photography event organised by Wimborne Camera Club in my home county of Dorset. 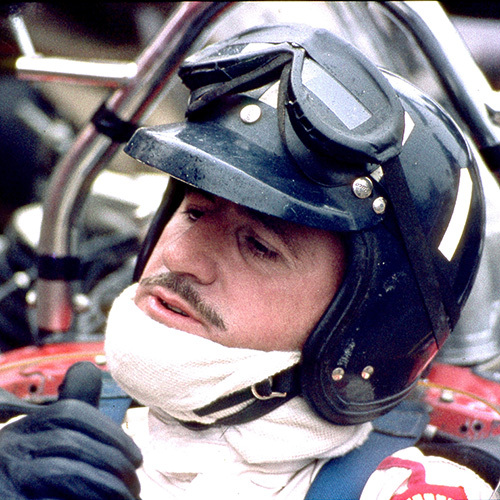 As a school boy I had an immense interest in racing cars. 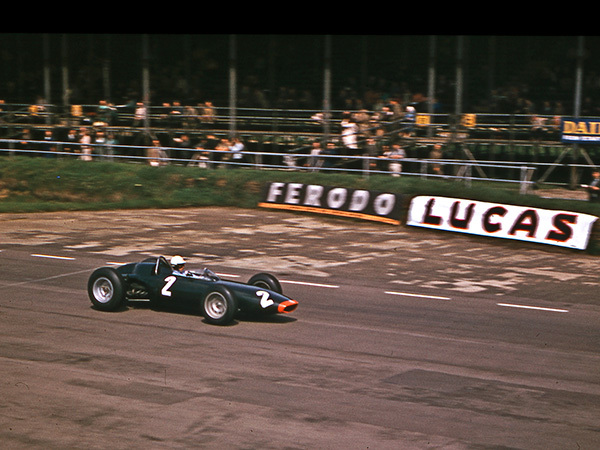 However, it was not until I was 18 that I experienced my first British Grand Prix at Silverstone in July 1963. It was here that I took my first 'real' motor racing photograph and it was certainly my first view of the Silverstone circuit as I crossed the famous footbridge into the much respected inner sanctum of the paddock. Practice for the support races for the 16th British Grand Prix was in progress and I can still feel the sensation of excitement. 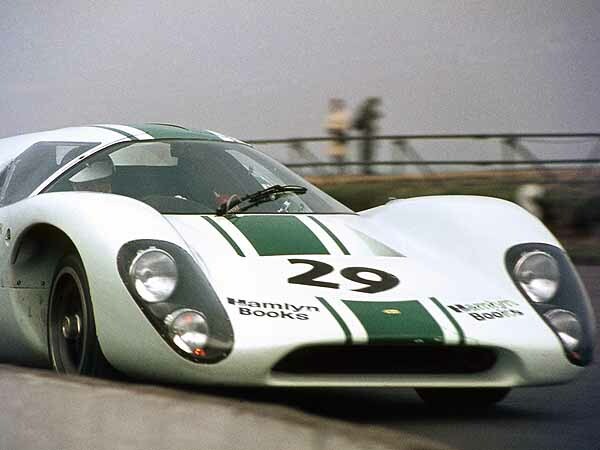 The sight of a red GT Ferrari came hurtling towards me, Jack Sears at the wheel, braking and changing down, emitting that wonderful sound that only a Ferrari can produce. It made its way at astonishing speed into Copse and accelerated away towards Maggots. Little did I know at that stage how my involvement with the sport was to pan out and how very close I was to come to the action. During the mid sixties as a member of the BARC I became a marshal at Silverstone but when Agfa provided me with a rare opportunity to take what are now historic motor racing photographs, it was a very special moment. Here was an amateur photographer mixing it with the world's sports photographers and photographing the stars of the Grand Prix scene. 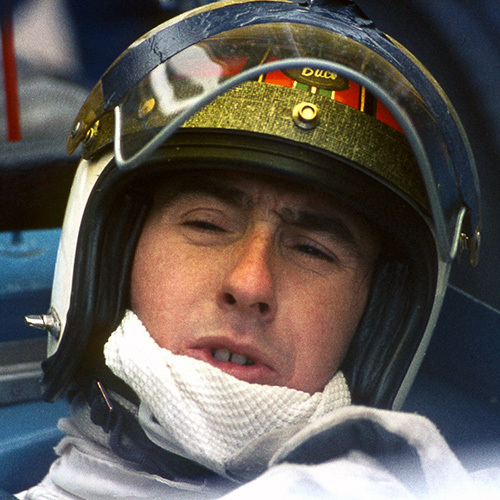 My favourite action shots were taken from behind the low wall at Copse corner and most driver portraits were taken in the pits during practice sessions. I have wonderful memories of both my marshalling days at Silverstone and even more as a photographer and have developed a special affinity with the Northamptonshire circuit. Silverstone without the British Grand Prix would have been unthinkable and now we have the prospect of another 17 years of glorious racing. The Silverstone management and the BRDC are to be congratulated on this successful outcome. The result of their enormous challenge is without doubt as sensational as the racing we have yet to experience from the true home of British motor racing. For me the memories will linger on, I have certainly been most fortunate to have witnessed and captured just some of Silverstone's historic and treasured moments. Now they are preserved in my book 'Out of the Shadows'.